Health and Fitness Den: Comparing Nautilus T616 versus Schwinn 870 Treadmill, What's the Difference? The Nautilus T616 and Schwinn 870 are both impressive treadmills with high-end features for home use. Nautilus and Schwinn come under the Nautilus Inc Brands umbrella and the Nautilus T616 and Schwinn 870 are virtually the same treadmill but with different branding. If you look at the pictures of the 2 treadmills, the Nautilus T616 and Schwinn 870 treadmills appear different in the way the frames have been color-styled. The same goes for the different color-style of the consoles on both of these treadmills, but they both offer the same features and program variety. Both the Nautilus T616 and Schwinn 870 offer 26 workout programs, 0-15% incline, a powerful 3.0 CHP motor with speeds up to 12 mph, and large 2.5” crowned rollers for smooth and quiet operation. Both the Nautilus T616 and Schwinn 870 treadmills offer s a generous running surface of 60” long x 20” wide. 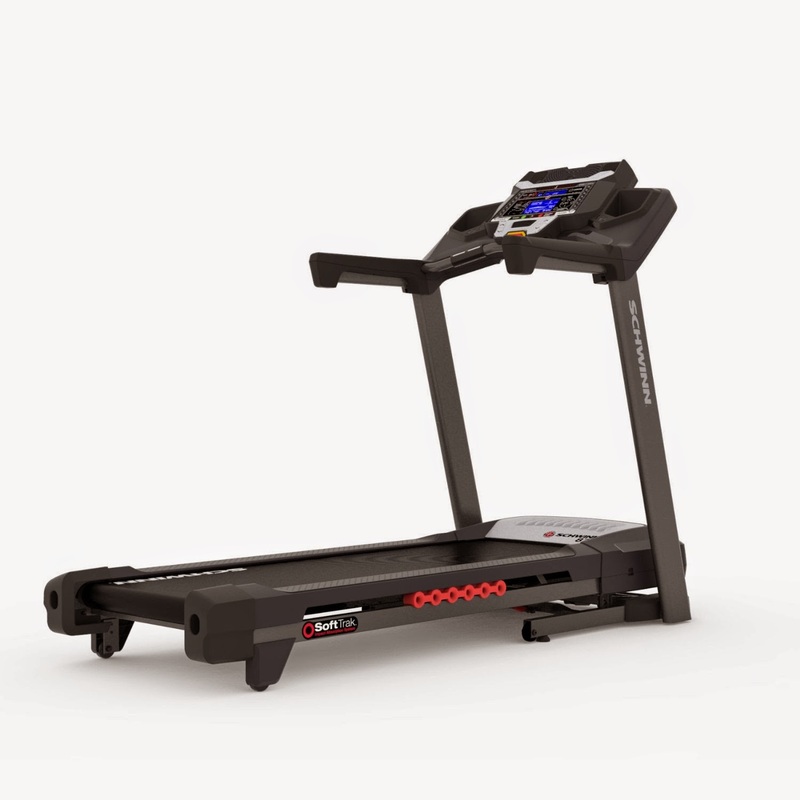 The cushioning of the running deck on these 2 treadmills is referred to differently in the specifications, with the Nautilus T616 featuring a 6 Hex Cell StrikeZone Cushioning System, while the Schwinn 870 features a 6 Cell SoftTrack Cushioning System. 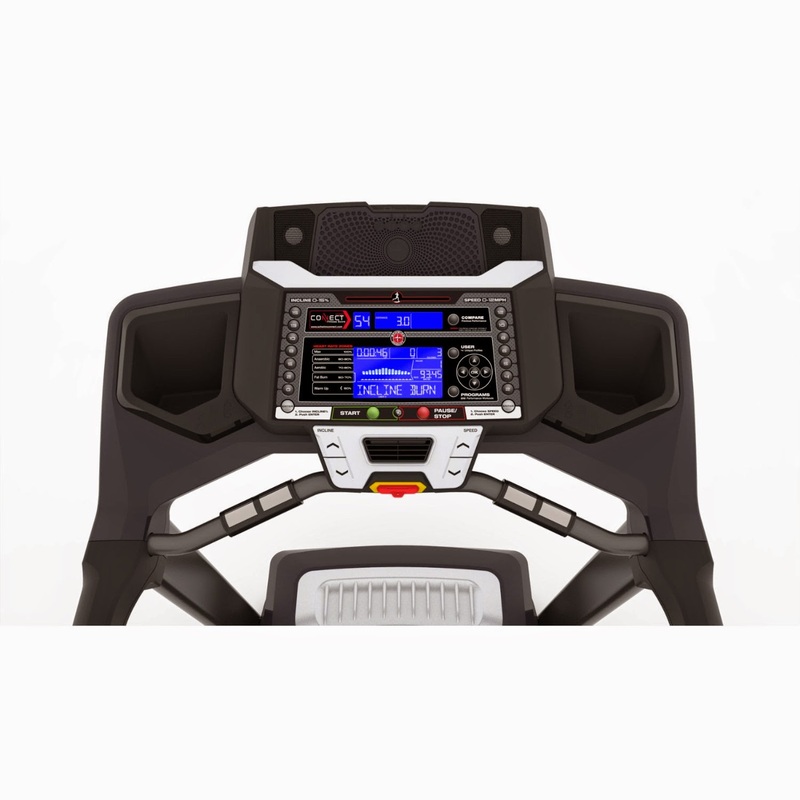 Both the Nautilus T616 and Schwinn 870 treadmills incorporate a dual-track LCD console display and offer Bluetooth connectivity, a USB charging port and data export to MyFitnessPal and/or NautilusConnect for the Nautilus T616 or SchwinnConnect for the Schwinn 870. 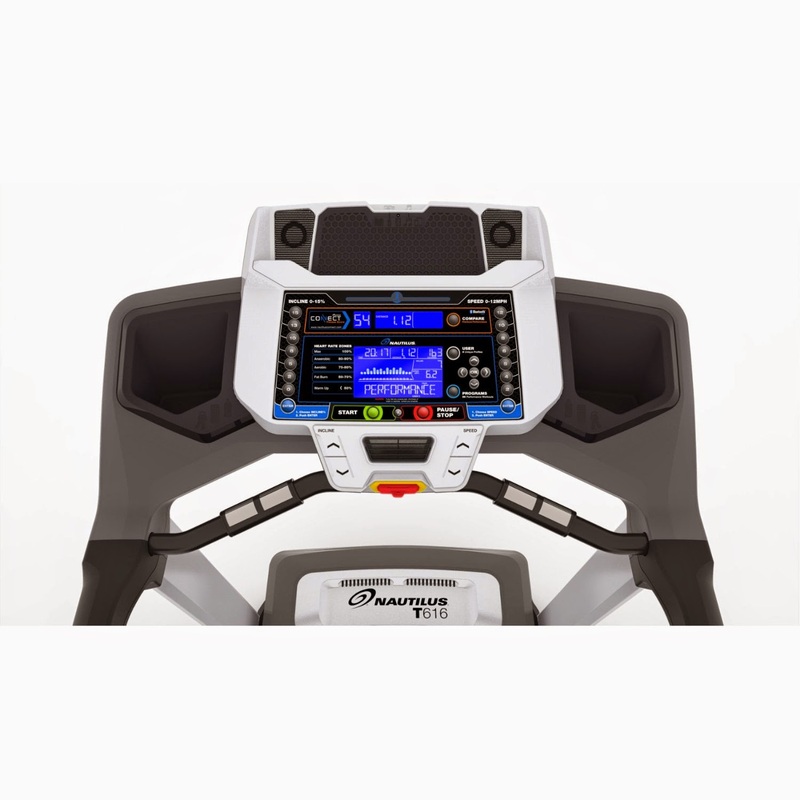 Both treadmills allow up to 4 user profiles. Premium features on both the Nautilus T616 and Schwinn 870 include acoustic chambered speakers for big sound, a 3-speed fan to help keep you cool, and a media shelf to place a book or tablet to help watch the time fly by! 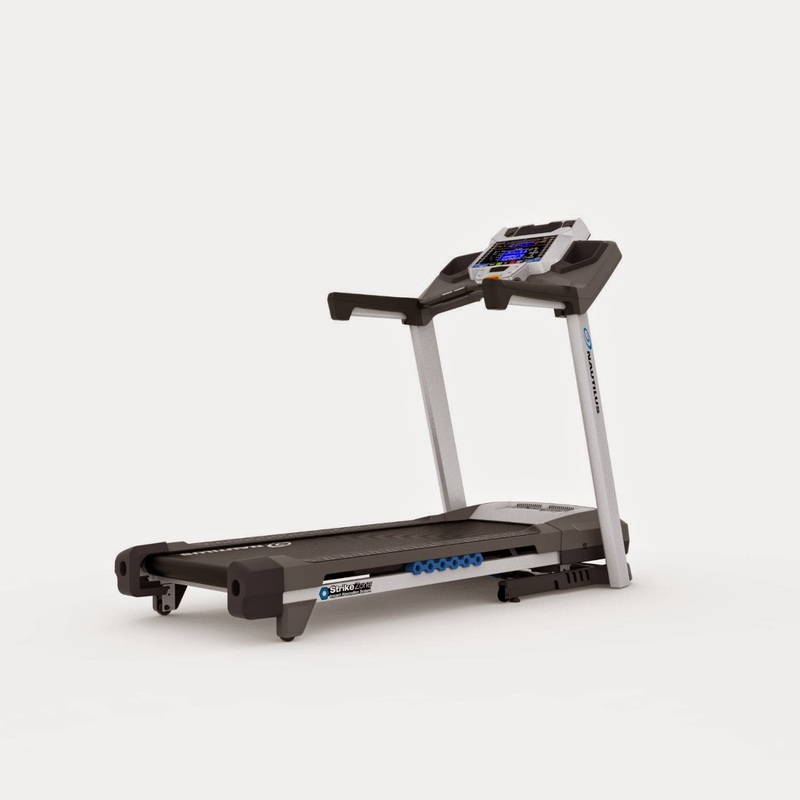 Both treadmills are sturdily built with a 300lb maximum user weight capacity and both feature the SoftDrop folding system to help save space when the treadmill is not in use. Useful tip: Jogging for just 30 minutes on a treadmill could burn approx. 465 calories for women or 566 calories for men, dependent on the intensity of the workout.